The decision of the Constitutional Court of Ukraine ruling unconstitutional Article 268-2 of the Criminal Code of Ukraine (illicit enrichment) is a serious setback in the fight against corruption in Ukraine, according to a joint statement of the G7 and the World Bank. "The recent elimination of the illicit enrichment offence from the criminal code is a serious setback in the fight against corruption in Ukraine. This has weakened the impact of the whole anti-corruption architecture, including the soon to be established High Anti-Corruption Court, which was expected to rule on a significant number of illicit enrichment cases, and the ability of the National Anti-Corruption Bureau of Ukraine to investigate high-level corruption," the G7 ambassadors said in a statement posted on the official Twittter microblog on Monday. The G7 and the World Bank called on Ukrainian authorities to step up efforts for safeguarding the effectiveness of anti-corruption legal tools and institutions, including by reinstating criminal liability for illicit enrichment in line with the UN, OECD and ECHR principles and finding a way to continues the dozens of investigations and prosecutions threatened by this ruling. 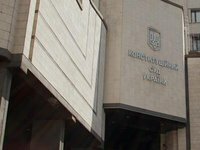 As reported, the Constitutional Court of Ukraine has issued a ruling in the case on a constitutional motion filed by 59 Members of Parliament of Ukraine regarding the compliance (constitutionality) of Article 368-2 of the Criminal Code of Ukraine with the Constitution of Ukraine. By this ruling, the Court recognized that Article 368-2 of the Criminal Code does not comply with the Constitution of Ukraine, i.e. it is unconstitutional.